B. 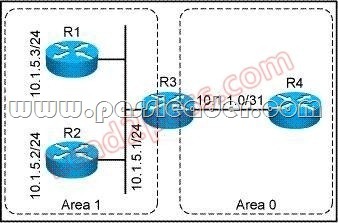 One /20 block is used for the first data center and the second /20 block is used for the second data center. The /20 block from the local data center is sent out with a low BGP weight and the /20 block from the remote data center is sent out with a higher BGP weight at both sites. 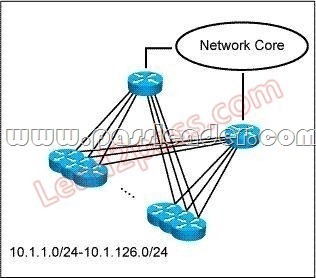 C. One /20 block is used for the first data center and the second /20 block is used for the second data center. The /20 block from the local data center is sent out without path prepending and the /20 block from the remote data center is sent out with path prepending at both sites. D. One /20 block is used for the first data center and the second /20 block is used for the second data center. Each /20 block is only sent out locally. The /19 block is sent out at both Internet connections for the backup case to reroute the traffic through the remaining Internet connection. E. One /20 block is used for the first data center and the second /20 block is used for the second data center. The /20 block from the local data center is sent out with a low BGP local preference and the /20 block from the remote data center is sent out with a higher BGP local preference at both sites. Your network operations team is deploying Access Control Lists (ACLs) across your Internet gateways. They wish to place an ACL inbound on the Internet gateway interface facing the core network (the “trusted” interface). Which one of these addresses would the ACL need for traffic sourced from the inside interface, to match the source address of the traffic? Refer to the exhibit. 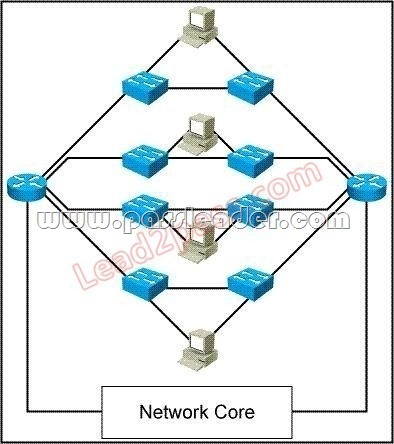 The network administrator of a large-scale EIGRP network has found that one hub-and-spoke topology in the network is incurring a lot of link flaps. While several attempts have been made to reduce the number of link flaps, it does not appear that the stability of the hub-and-spoke topology can be improved. The reason for this is that most failures seem to result from power outages in a number of locations. Which course of action should the network administrator follow?